Send feedback requests in real time once tickets are closed. Associate interaction tags with feedback for deeper context. Automate a workflow for making things right after subpar interactions. 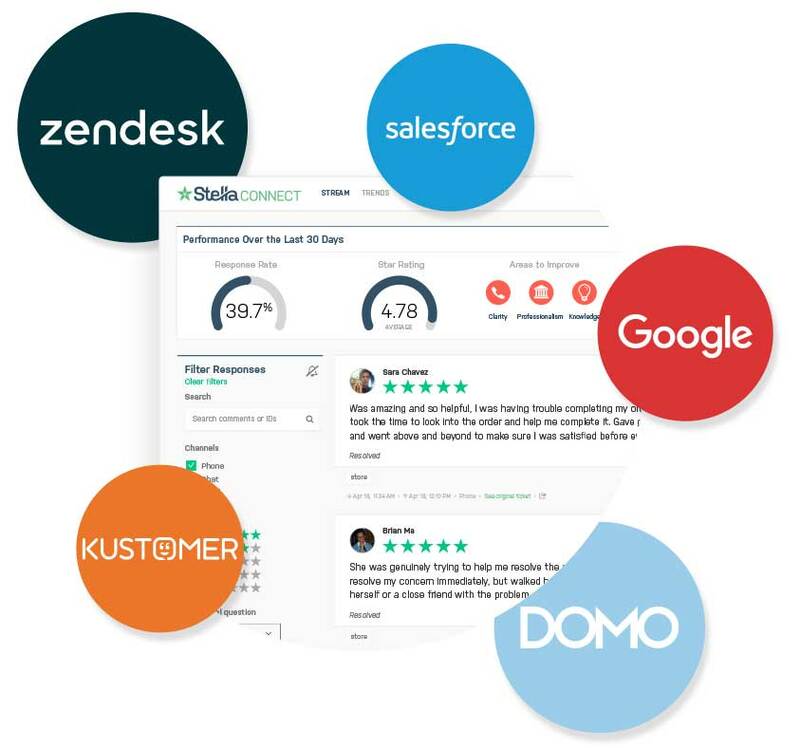 Flow customer feedback insights into your CRM or BI platforms. Create rules for survey distribution to suit your specific workflow. Can't find your provider on our integration list? It's ok.
Leave us your details and we will reach out to find a time to talk.